Yesterday YouTube Launched its new feature built-in video editor, which allows you to edit your video online with simple and easy steps. So now you can edit your video on YouTube site like basic edits, shorten your video, swap out the soundtrack, etc. Now you can see the new “Edit Video” button on your Youtbe Video Page. 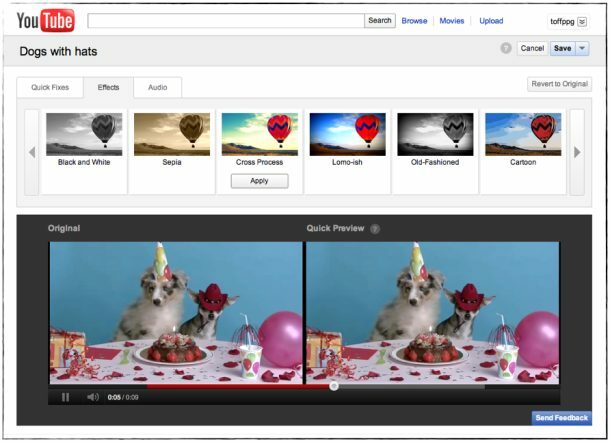 An “Edit Video” button allows changes such as adding effects, swapping soundtracks, or trimming clips right at YouTube. 2. Now you can see some option like rotate a video, and boost the contrast and colors. 3. You can also change the effect of Video By Clicking Effects Option. Check out the video below to find out more about how the new editing feature works.